We knew from our first conversation with Lisa and Dan that we were all going to get along spectacularly! 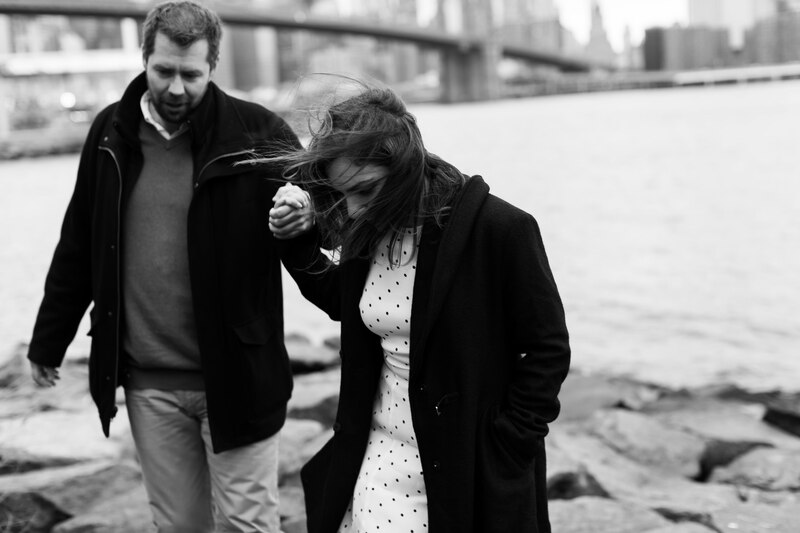 They’re planning an incredible wedding for Winter of 2019, and had their engagement session on a windy day in Brooklyn. From our first call with them, they had such a contagiously fun energy. 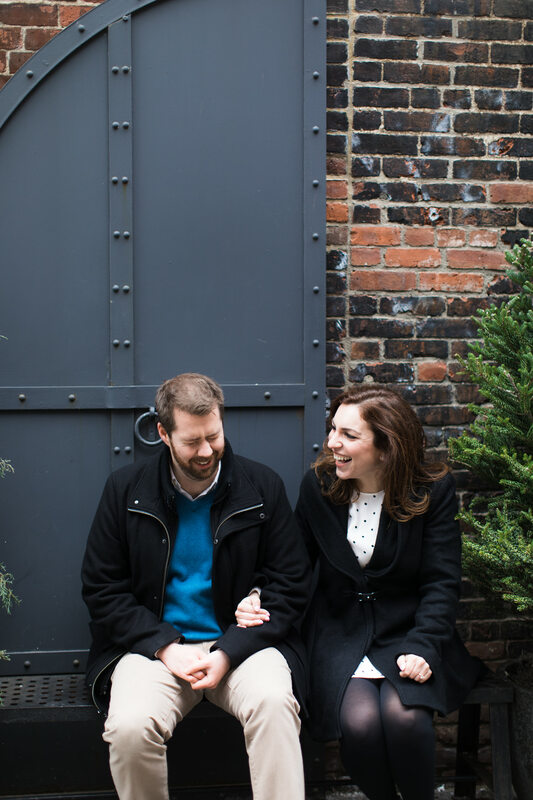 These two love to laugh and have fun together, and are happy to share that joy with everyone. 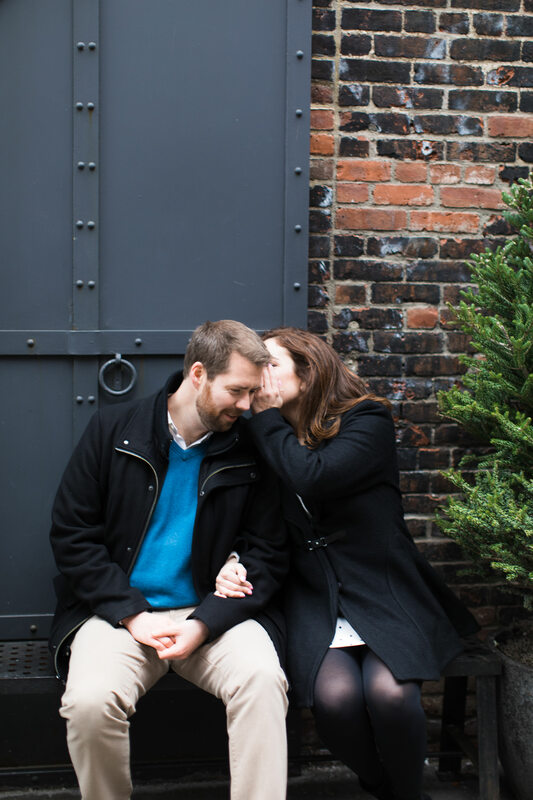 Before an engagement session we chat with couples to find out what they love to do together, and what about their relationship is most important to them. 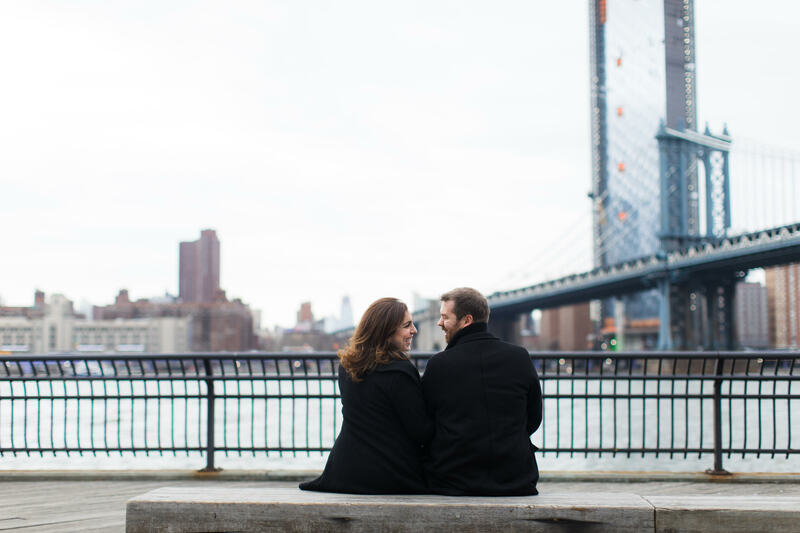 The city is something both Lisa and Dan love, and so are their spontaneous and adventurous spirits. 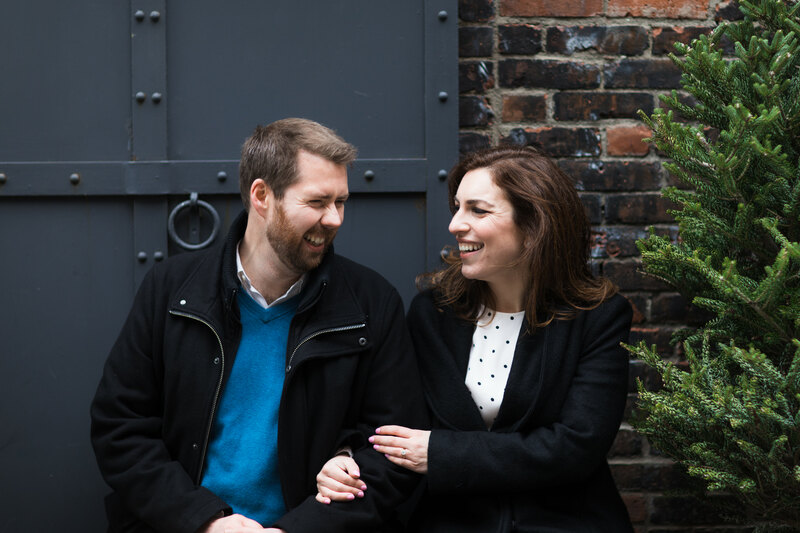 We focused on getting photos of the two of them walking around their favorite city, capturing their laughter and fun together! 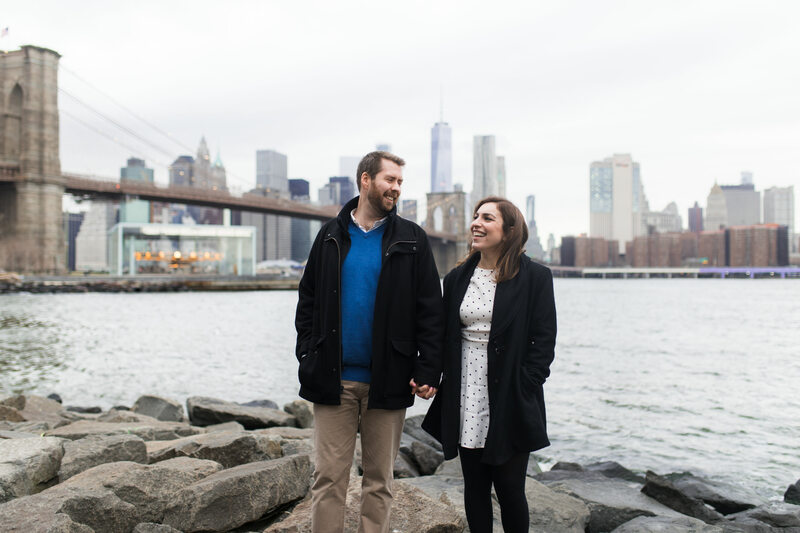 Dan’s blue sweater is such a great pop of color against the blue and gray city skyline, and Lisa’s classic black and white was perfect for the windy day. 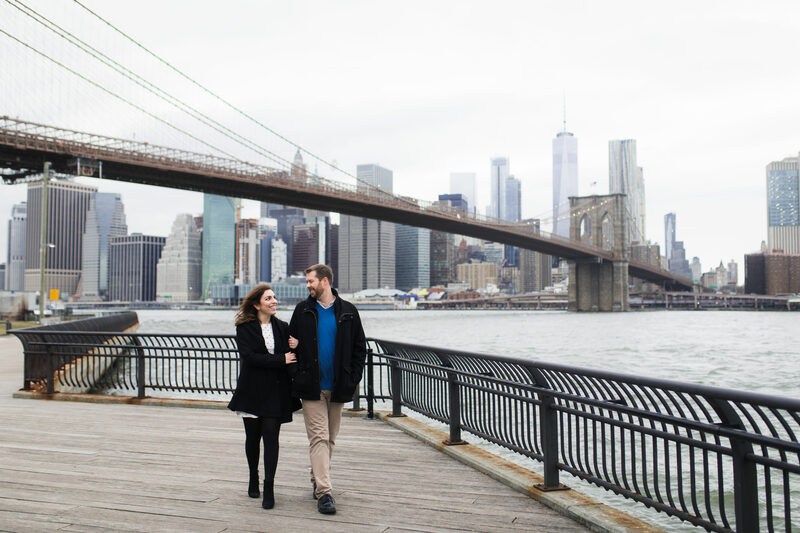 We finished the session by having them practice their first dance in front of the city skyline. The little red heart painted behind them was such a cute pop of color, and totally on theme! 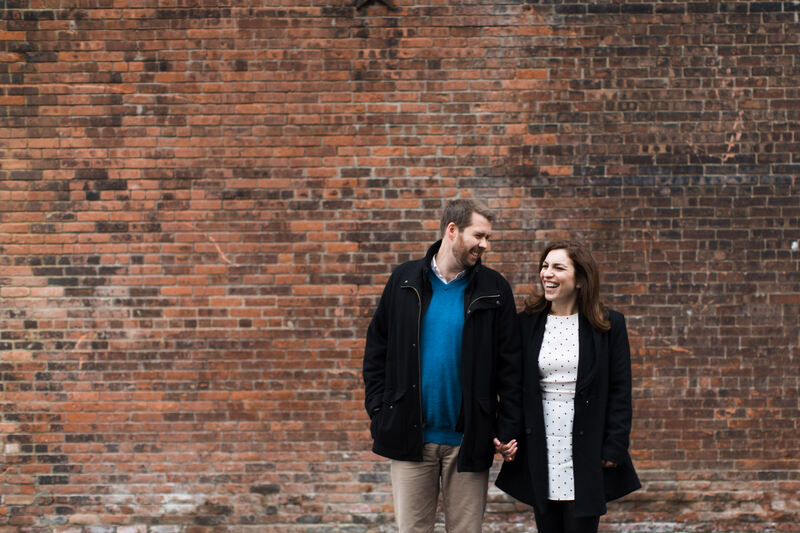 Congratulations on your engagement Lisa and Dan! We’re looking forward to your wedding next year.